The big and strong exoskeleton. Something huge you could get onto and move along the world no matter what the terrain is, no matter the obstracles in the way. You had seen it in many movies… You wanted to build one… You have to build one! 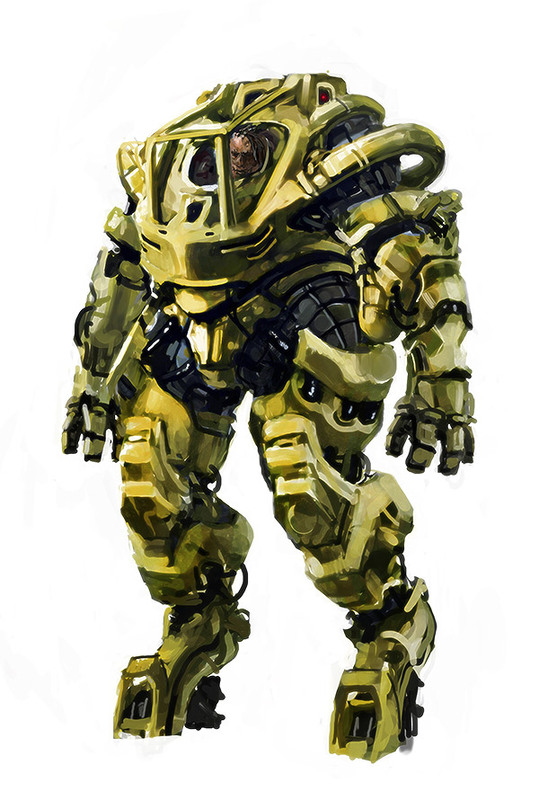 The concept of exoskeleton was first used in the Robert A. Heinlein's novel Starship Troopers in 1959. But many many years before people decided to use something like that: the medieval armour! It's some kind of exoskeleton. But the concept is older than that. It's the nature's patent. The turtles, insects and some other animals like snails uses exoskeleton for milleniums. But that's not what I meant. Many variations of exoskeletons can be found in science fiction and gaming (e.g. Warhammer 40,000). There are many games using some “mecha” machines like Mechwarrior. I wish to build machine bigger than I am, strong enough to lift up a car and it should walk just like I do. Is it possible? Let's find out! Safety - Safety is at the first place - there should be hardware security locks to protect human body inside the machine. The parts of skeleton should not move/rotate in any angle or direction that wont fit the body inside it. Safety - It is better to mention safety twice than let someone to get wounded - it will be the BIG machine and the small movement of exoskeleton's arm should split human body into halves! Let's start with the “walking” leg. One leg wont walk as well as one hand wont clap. But it's a start. Build two hands that can grab something. Build the “human-oversized” chest with shoulders. We should use some strong step motors to make things move. We should use scrap metal parts found on any scrapyard. I'd like to use car battery (or batteries) as the power source for Exocorpus Maximus. Maybe hydraulics should be used for some moving parts to slow down the movement (security).